Tom is an antenna developer, author and speaker, as well as an active operator. After leaving a communications company he co-founded, he began Force 12, Inc. in 1992 and developed many new designs that changed the field of HF antennas. These include the trapless tri-bander, overlay, forward stagger and 50-ohm direct feed Yagis, shortened 40-meter antennas that did not interfere with other HF amateur bands and new vertical antennas that re-wrote the book on verticals. With more than 130 new designs in production, he shipped over 24,000 antennas until selling the Force 12 product line in 2008. He has several patents, all relating to antennas and radio and continues to file applications for more new inventions. 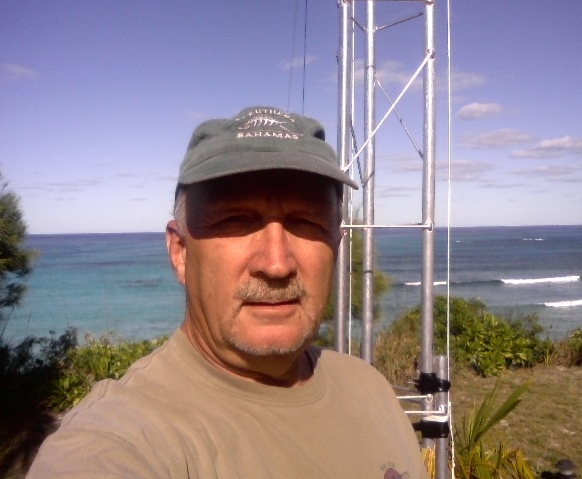 Tom has been on more than 25 DXpeditions including the first ever from XZ1N, plus supporting many DXpeditions with antennas. He is the co-founder of Team Vertical that has collectively set 24 world contesting records using new vertical designs and continues development and production with his Next Generation Antennas. He has written about his adventures and history behind his antenna developments in a popular book, Array of Light. Tom is an ARRL Life member, charter member of CW-Ops, recipient of the WØ DX Lifetime Achievement Award, co-founder of the National Contest Journal, guest speaker in Japan and Finland, as well as many clubs across the country. Memorable moments in radio: holding OSCAR I; operating with Gary (now VA7RR) from Saipan in 1983 as AHØC using (3) TCI-611 curtains belonging to Far East Broadcasting that re-calibrated his mind on antennas; setting the current CQWW CW 160 QRP World Record in 2007 at C6ARR with conditions that probably will never happen again; and, meeting countless wonderful people all over the world.